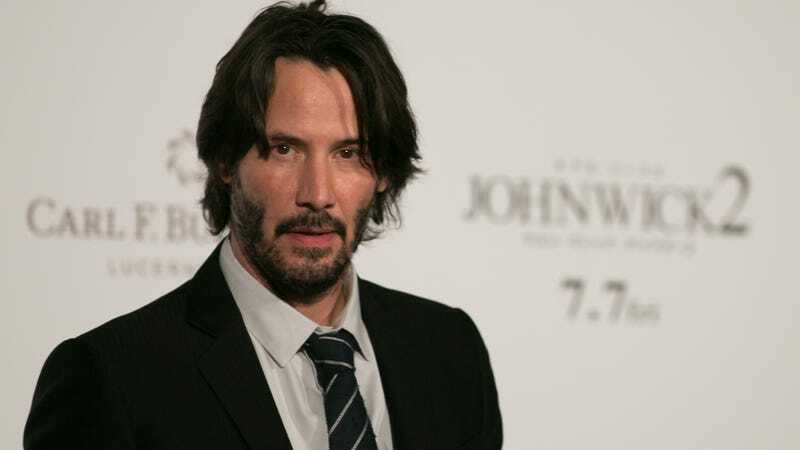 What's going on with Keanu Reeves' new sci-fi movie? Last October, we covered a trailer for a sci-fi movie called Replicas that starred Keanu Reeves as a scientist obsessed with cloning who loses his family in a car accident. It looked fine, it had Thomas Middleditch as Reeves’ assistant, and it was supposed to come out “soon.” Again, that was a year ago, with no sign of Replicas since then. This week, though, a new teaser trailer for Replicas hit YouTube (via /Film) that is significantly shorter and lighter on specific plot details. For one thing, Reeves’ family is barely mentioned, suggesting that the whole thing about them being clones is supposed to be more of a twist, but there’s not even really any new footage in this teaser that wasn’t present in the older trailer. There has to be some behind-the-scenes reason for why Replicas has been kept on the shelf, but the fact that the thrillingly named Entertainment Studios is still promoting it means this isn’t one of those movies that the studio is trying to bury. /Film says Replicas hasn’t undergone any major reshoots, like the sort that would cause a film to be significantly delayed, so it seems somewhat odd that this new teaser still ends with “coming soon.” If we had to take a guess, we’d say that Entertainment Studios dropped the first trailer before it really had an idea of what it wanted to do with the movie, since it had just bought the distribution rights to Replicas a few weeks earlier. Now, it presumably has a more concrete distribution plan, which would explain why this new teaser is being cagier with the plot. Either way, this movie is still coming soon, and you should try to act surprised when Reeves brings back his dead family as clones.